TriVersity Construction and its employees understand and value the commitment that we have to the communities in which we work. Throughout the year we participate in several youth oriented programs that exposes children to the construction industry and the jobs that are offered within our industry. In 2017 TriVersity joined the Adopt A Class (AAC) program as a way to introduce elementary aged children to the construction industry. Adopt A Class was founded in 2013 as a non-profit organization with the goal of exposing Greater Cincinnati students to a plethora of career and life experiences. 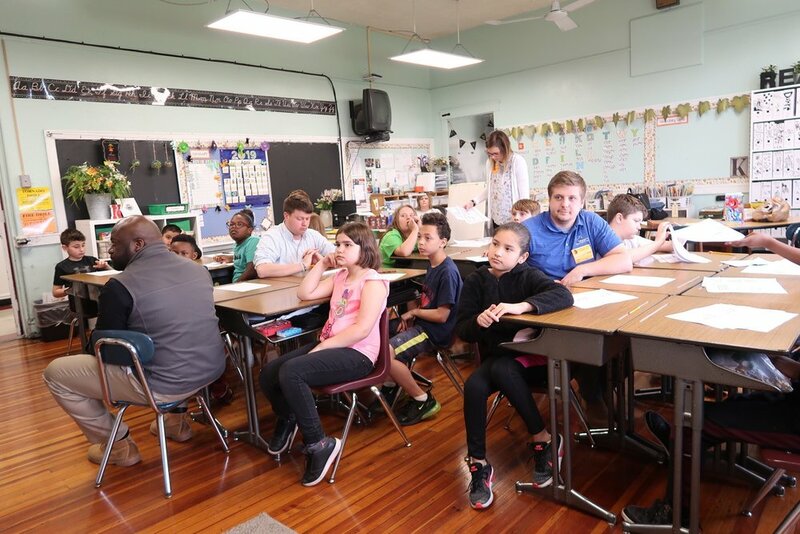 AAC connects businesses and civic groups with students in economically disadvantaged schools in the city and surrounding areas. A group of adult volunteers from each organization is paired with a classroom for the duration of the school year. 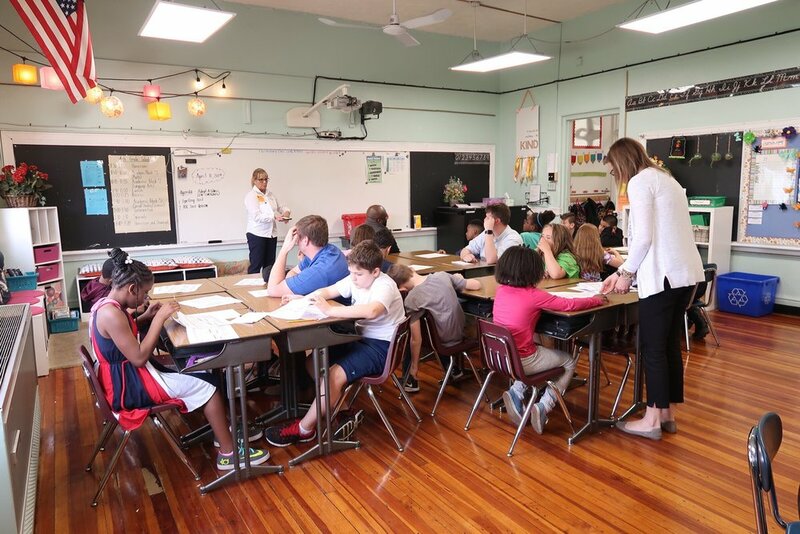 This year we have adopted a fourth grade classroom at Norwood View Elementary school. At the end of the 2017/2018 school year we began soliciting volunteers for the 2018/2019 school year. We were able to get 7 to 10 volunteers from varies departments throughout the company to an hour each month to participate in AAC. Each month we have 2-3 planned activities for our classroom. These activities are focused around college and career planning, life skills, STEM, and at the end of the year we sponsor a field trip for our class. At the first class visit we all introduce ourselves and share our job title and description and a fun fact about us. We then go around the classroom and ask that the students introduce themselves and an interesting fact about them as well. As a way to engage with the students throughout the month each volunteer is assigned 1-2 student pin pals. The pin pal journals we provide the students have a dual purpose. First, it gives each student the opportunity to communicate with their volunteer pin pal throughout the month. Second, it is giving the students an opportunity to practice their writing skills. We find this very effective and it helps us gain a closer relationship with the students. Although we like to focus our attention on educational and life skill activities we do incorporate activities that align with the time of year we’re in. During our November visit we discussed table manners and incorporated a fun activity, which included the students setting the table and eating a healthy snack. For the month of December went over some fun traditions that we all enjoy during the holiday season and made some reindeer food. The students really enjoyed this activity. The students look forward to our visits and thoroughly enjoy our activities. Most of the students are engaged and participate in the planned activities. They enjoy asking us questions about our jobs and lives and telling us about their families and future goals. With each class visit we grow closer to the students and we know that we are having an impact on their lives and are helping shape their minds to the possibilities they may not have known existed.